Buffets don’t always enjoy the best reputation – and, admittedly, the idea of dried out food that has been prepared for masses, and left open on display for hours is far from tempting. But there are some restaurants said to be getting it right. Visit the city’s finest buffet offering; with an exquisite selection of traditional food. Moroccan cuisine is a feast for the senses – a delicate journey that combines subtle spicing, light chilli and a variety of other choice ingredients to create an array of unique flavours. Tajine offers a small yet prime selection of the authentic tastes of Morocco, with methods and flavours of the indigenous ‘Berber’ people of Maghreb. They have included Arabic, Persian, French, Spanish and even Greek influences that prevail in modern Morocco today. All their dishes are prepared daily from the finest quality ingredients and are savoured with fine sauces. Buffets are served on set days. While some diners might be put off by chain restaurants, Adega fans take comfort in knowing that they can expect value for money and an amazing service wherever they go. The Sunday lunchtime offering at Adega’s Boksburg restaurant has developed a following of its own. What’s not to love about an all-you-can-eat seafood spread, including goodies like prawn Korma, sushi, ocean fresh oysters and seafood pasta? 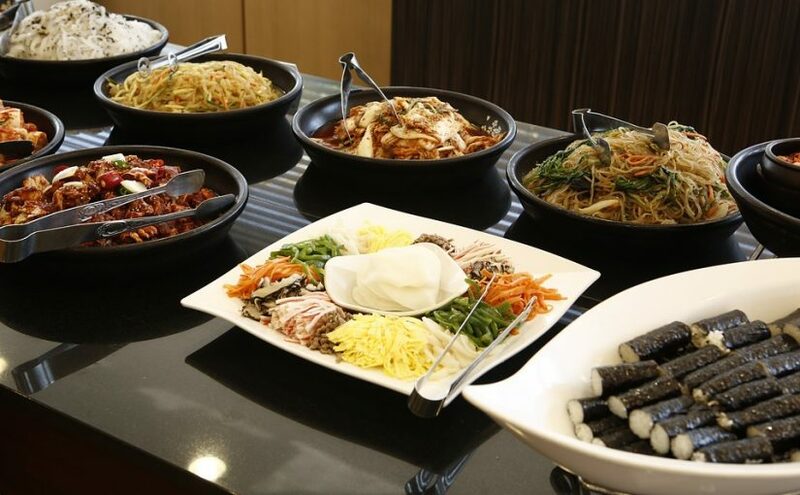 At Adega, diners are assured that (unlike other buffets), dishes are freshly prepared, especially for the buffet table. Located off the main casino walkway in Emperors Palace, Rosetta’s bistro has revolutionised the classic buffet offering and resonates with value for money dining. Formerly the Queen of the Nile Buffet Restaurant, the bistro is open from 11-12 pm on weekdays. Anticipate well-seasoned meals, unusual salads and traditional potjies.